Hi, friends. 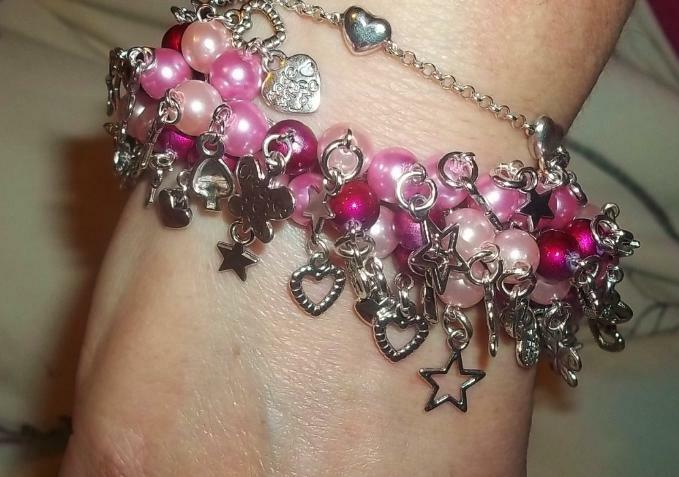 Do you want to try to make a pretty bracelet by yourself? How about wire wrapped bracelet? 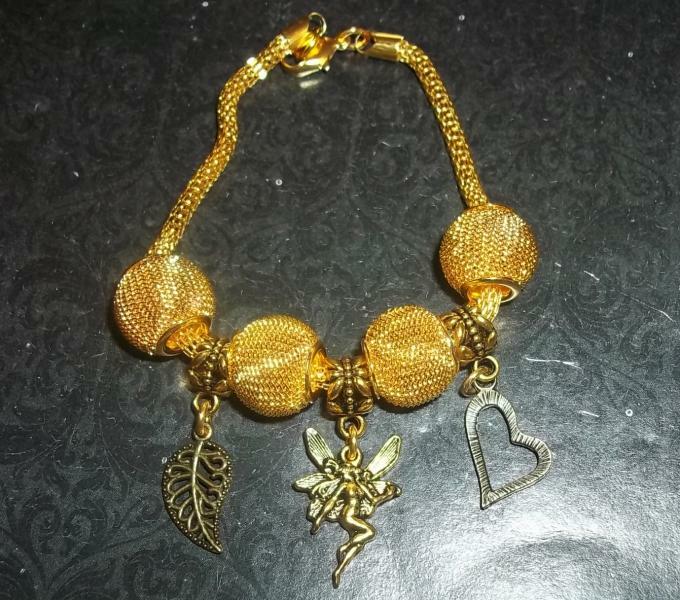 If you are interested in beads and wire bracelet, then please look at this post, trust me, you may fall in love with making jewelry after seeing this project. Then let’s see the details together. Firstly, cut off a piece of aluminum wire about 30cm, then fold it in half. And make two opposite simple loops at one end of the wire. Secondly, cut off a piece of cooper wire and fix the end with the wire then slide a 6mm lightcyan pearl bead onto the wire, then wrap the cooper wire around the bangle. 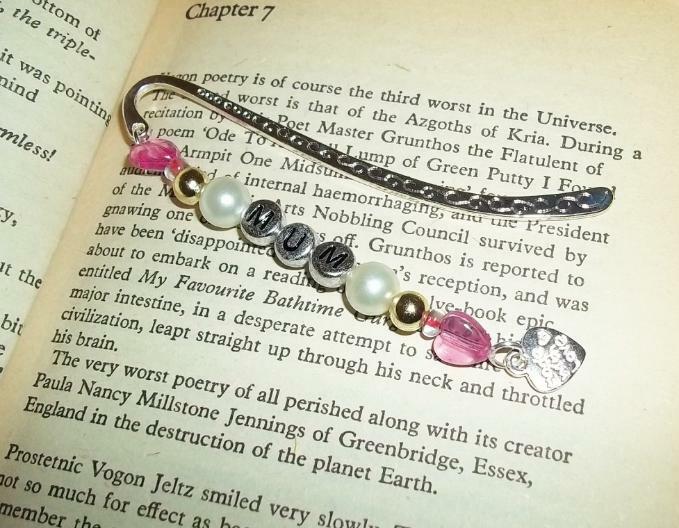 Firstly, continue to add an 8mm pear bead and a blue glass bead onto the wire then wrap them with the bangle. Secondly, prepare many pieces of cooper wire with different lengths then add 6mm lightcyan pearl beads, 8mm lightcyan pearl beads, and blue glass beads onto the wires separately, then wrap them together. Please do it as the below picture shows and make them look prettier. Continue to add more beads onto the bangle, then cut off the excess wire. Then this wire and beads bracelet has been finished. Look at this tassel beaded bracelet, like this free pattern? Hope you can start your jewelry making from this post. It is easy that you can finish it at home, so are you planning to have a nice try? Hope this project can bring you any inspiration. 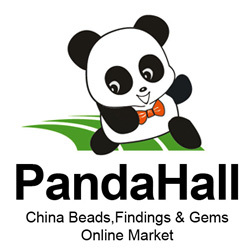 And check Pandahall.com to use JunBLOGEN5OFF to get 5% off your orders. See you next time! Making jewelry is a method to express your creativity with mixture of color, texture and approach. 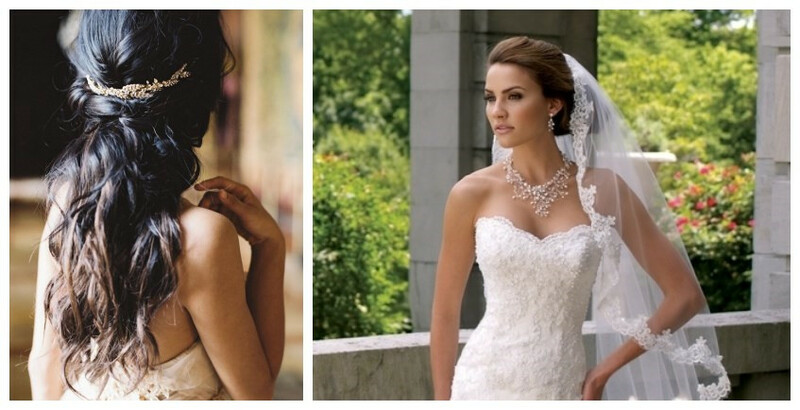 Wearing the jewelry design through yourself is a fabulous feeling, as it personalizes your jewelry, the others would admire your design and you will sure hear about how good-looking and charming your jewelry is. 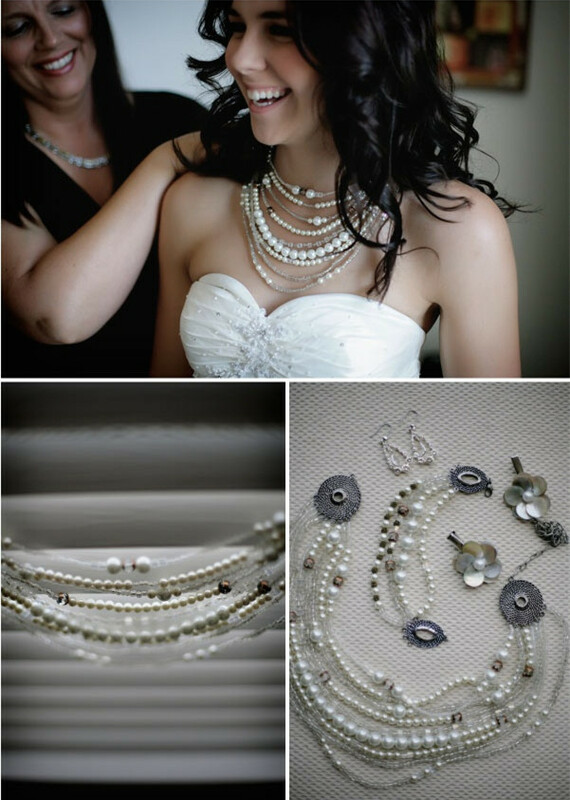 The procedure of beading jewelry with variety of beads gives you fun. 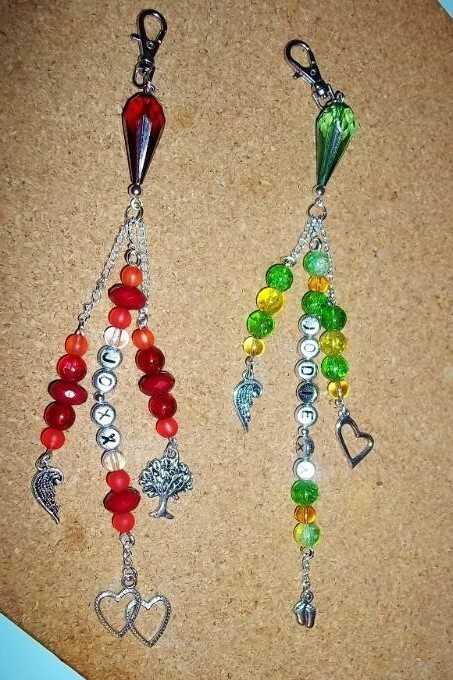 You can also gift handmade jewelry with beads to your friends, parents, classmates, they will adore your jewelry . Wood beads are very well-liked these days. Though what is the reason for their fame? In this article few facts about wood beads are clarified that contributes to their status. Wood beads – they are extremely sought after for a variety of causes. For one, they are simply available. Secondly, you can have them in a variety of colors. You can also select from a variety of thicknesses and different patterns and types of wood. They are also simple to cut, carve and shape, & they can be polished, lacquered, painted or given oil treatments for shine. They are also lightweight, so even if the outline is big and chunky, the jewelry itself is light in weight. Finally, they look good along with pearls, gems and semi-precious stones, and by Swarovski crystals in addition to shells, horn beads & bones. Types: Wood beads are made from a variety of trees including olive, bamboo, rose, apple, sandalwood, baying, ironwood, ebony, pear, etc. Several of these trees have a separate aroma while others come with a very pleasant grain. Trees like sandalwood have their own smell, which is keep even after beads are made out of them. Isn’t that a good idea? Size: If you are making your own jewelry, you can take benefit of the fact that wood beads are accessible in graded sizes, start from one millimeter and going on to 1 centimeter. So, go forward and make your own jewelry designs by mixing and matching with further beads and contrasting them by differently colored & sized wood beads. These beads have been well-liked for numerous years and they come in numerous styles, sizes, shapes, and finishes. The wooden beads might be left unfinished for you to coat yourself, or they might be painted or stained. They do require a protective varnish applied to them to stop them from being uncovered to humidity, and water damage. There are numerous popular online stores where the wood beads shown are lightweight and just correct for making big and thick jewelry. The bulk beads that you get at this site can be selected from a wide variety, so you will always get the ones you desire to customize your personal jewelry. Happy Wendsday! I have a collection of 5 creative DIY jewelry ideas for you today. 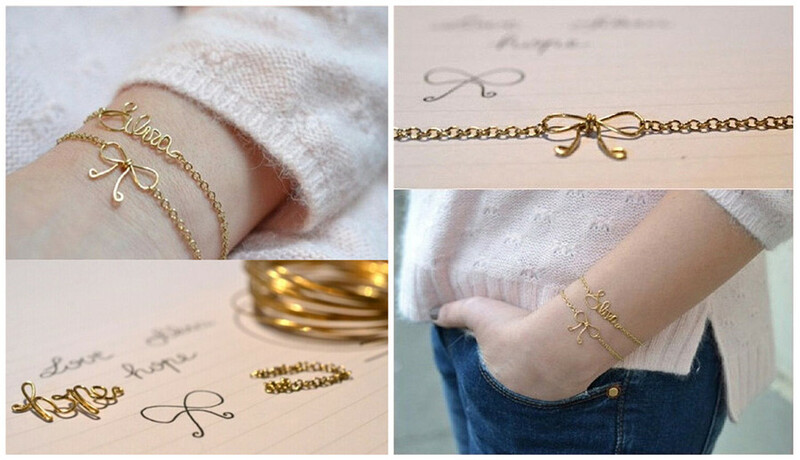 There is no need to spend money on your accessories anymore, you can DIY at home. All of these ideas are simple, easy and quick to create. You won’t need any expensive jewelry making supplies to make them. What you will need is beads and Tibetan style pendants. Okay, now let’s enjoy these ideas to get well used your Tibetan Style pendants. Do you have all your birthday gift ideas ready? I don’t. Luckily, I collect these 10 birthday gift ideas, so I will be using the weekend to make a craft. Yay for DIY! Here are the current 10 favorite DIY birthday gift ideas, for you, for her or for myself. If you also like them, you can collect the detailed jewelry making supplies, for example, beads, jewelry wire, chains, other jewelry findings and tools. Get started to make! 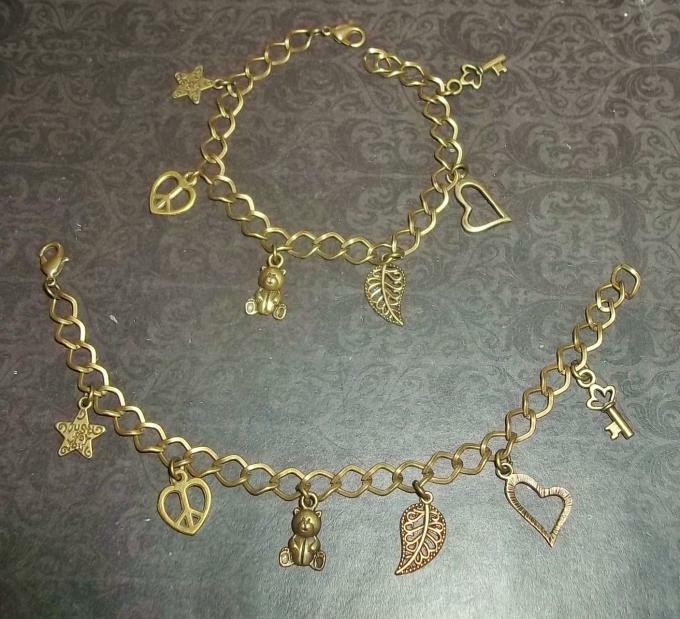 What you need for these bracelets: pliers, a roll of iron wire or copper wire, iron chain, lobster clasps. 1. Write the name that you like on the paper, then wrapped the wire according to the way you write. 2. Similar to step 1, here is the bow. 3. Take your pliers and attach the chain to the name and the bow. How about this cute idea? So lovely, right? Valentine crafting Time! 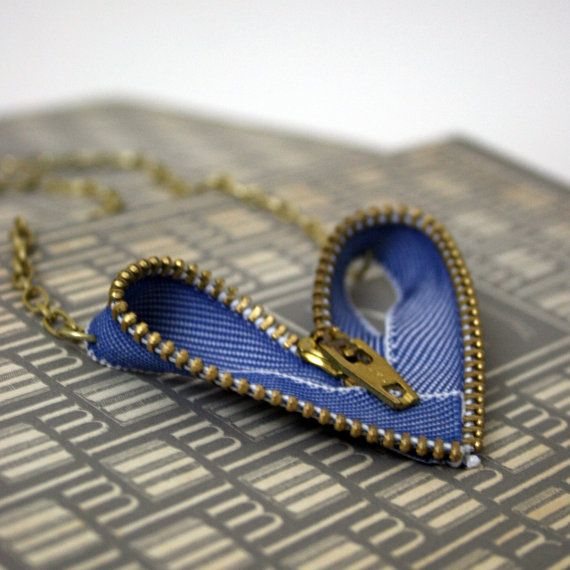 Today I will share a series of crafts that are made out of zippers and jewelry making supplies. I think this idea is really really cool. My main favorite is when they have the metal zipper. Don’t ignore these zippers from your old jeans, they are great DIY crafts materials! Now, I will show you one by one. 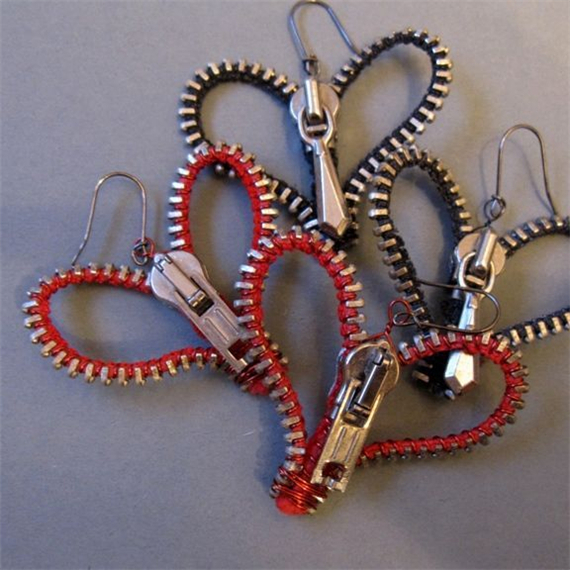 DIY heart zipper earrings – which is a great craft by using old zippers, earring hooks and copper wire. Here I will share a detail tutorial. 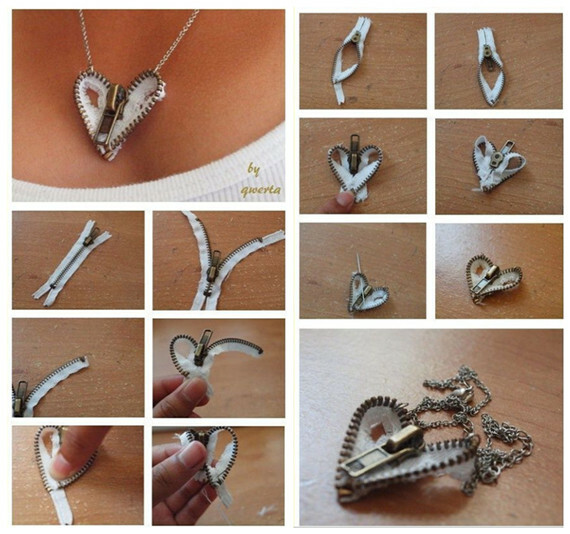 You can follow the picture steps to make your own heart zipper necklace and other heart zipper crafts. Easy and fun! 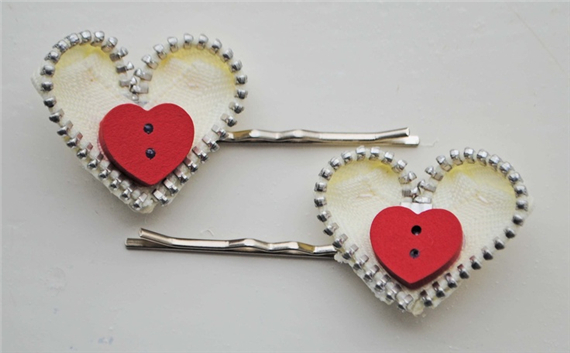 Apart from heart zipper jewelry, here are zipper heart hair grips by habercraftey. Cute craft, hope you can enjoy!